In Doctor Who’s 52 years of existence, there have been 13 actors to play the Doctor, all of them men. Moffat, since he took over as showrunner in 2010, has introduced two male Doctors, and he’s drawn regular criticism for sexist comments in interviews. (The Daily Dot’s Aja Romano has a good summary of what he’s done to irk fans.) During the question-and-answer session, a female fan directed a question at the four panelists: Moffat, current Doctor Peter Capaldi, and series regulars Jenna Coleman and Michelle Gomez. “What are your opinions on eventually having a female Doctor?” the woman asked, to wild applause and cheers from the crowd. Capaldi broke the tension, smiling and saying, “Maybe I should do a drag episode.” Moffat didn’t offer any opinions on whether he thinks magical, British-accented, time-traveling aliens can be cross-dressers. *A previous version of this article said Moffat’s answer was a definite “no” about a female Doctor. However, other observers interpreted the opposite way: since Moffat’s run on the show has shown a different member of the Doctor’s species changing gender during a resurrection (specifically, Gomez’s the Mistress), he may have been saying he’s opened the doors for a female Doctor. 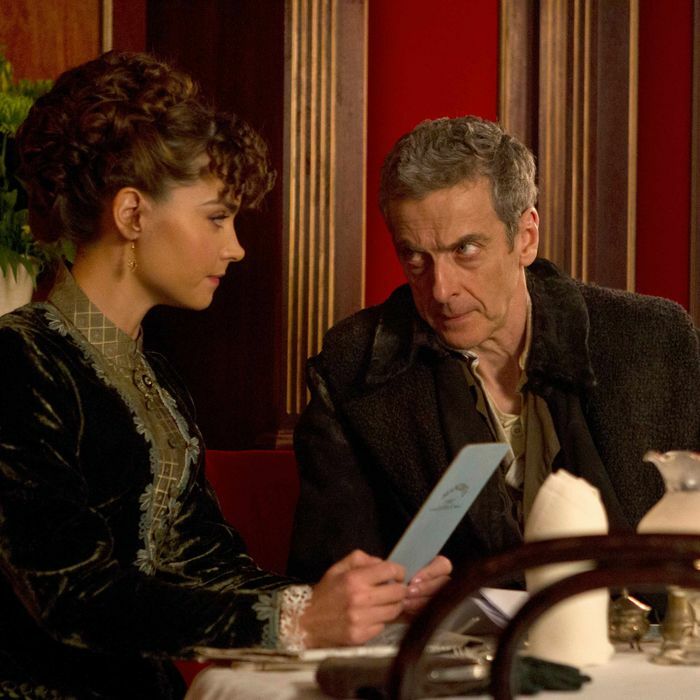 Moffat framed his comment as wholly unambiguous, but it turns out to have been anything but.